For this special episode, Jimmy sat down at Haven’s Kitchen with chefs Adam Dulte, co-author (along with HRN host Michael Harlan Turkell) of The Beer Pantry, Gavin Fine of Fine Dining Restaurant Group in Jackson Hole, Wyoming, and Steve Redzikowski, chef/owner of OAK at Fourteenth in Boulder, Colorado. talking food and beer, favorite recipes from the cookbook. 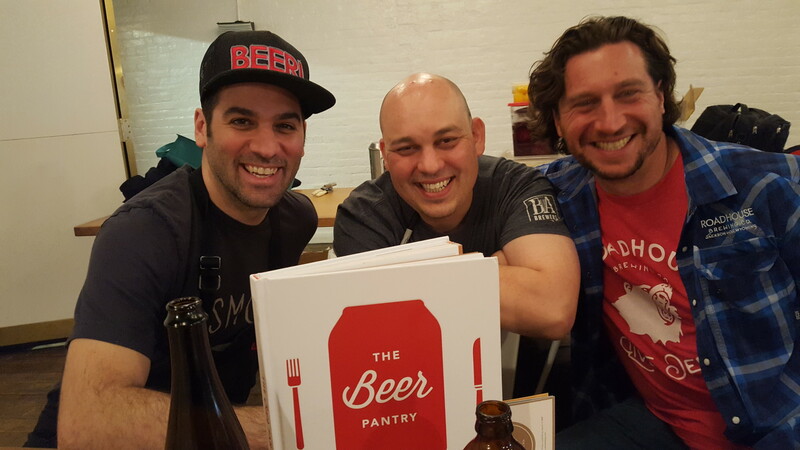 The chefs were in NYC prepping for the annual Brewers Association Press Dinner.